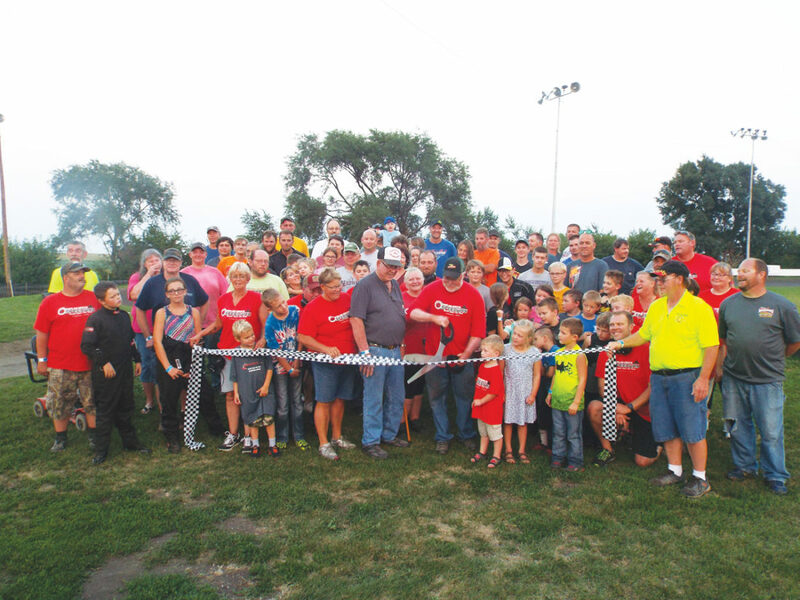 — Submitted photo Holly and Tim Mortenson, owners of Poplar Grove Speedway, man the big scissors to cut the ribbon before flipping the switch for the lights to come on during their Dream Alive Race to fulfill a dream of 22 years of racing under lights. 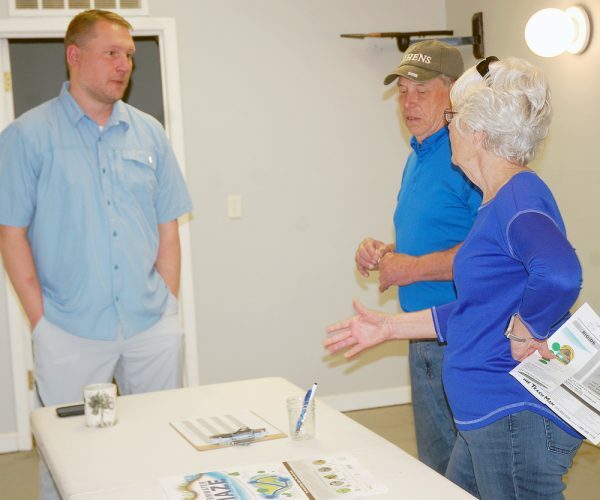 KAMRAR — A ribbon cutting was held Saturday at Poplar Grove Speedway in Kamrar just before officials flipped the switch for the lights to come on for the DREAM ALIVE Race. According to owners, Tim and Holly Mortensen, the dream came alive after 22 years of dreaming of racing under lights at Poplar Grove Speedway. Racers, pit pass holders, family members, staff and the Mortensons gathered to cut the ribbon to mark the occasion. Poplar Grove Speedway has been holding go kart races for the past 22 years including local races, regional races, series races and most recently the past two years of National races. The track see racers from the age of 5 to 80 participate for trophies, points and awards.